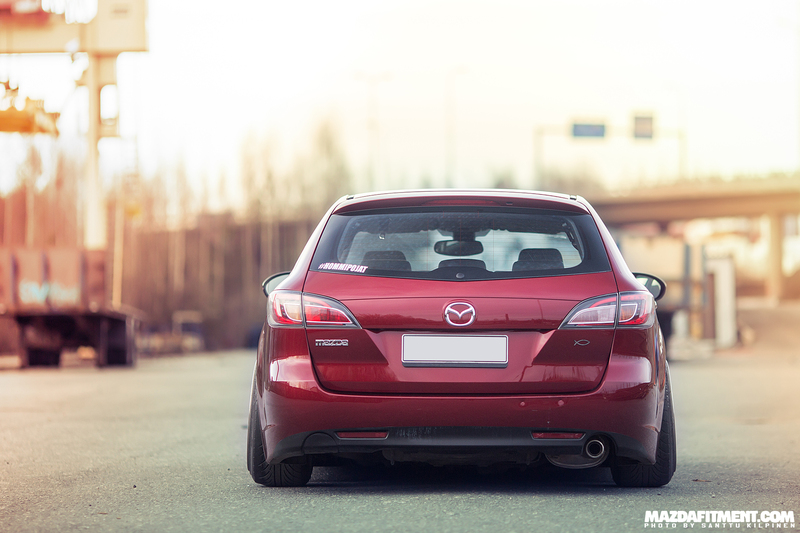 Here is a quick look at Sampsa Ahtiainen’s 2008 Mazda 6 station wagon from Jyväskylä, Finland. 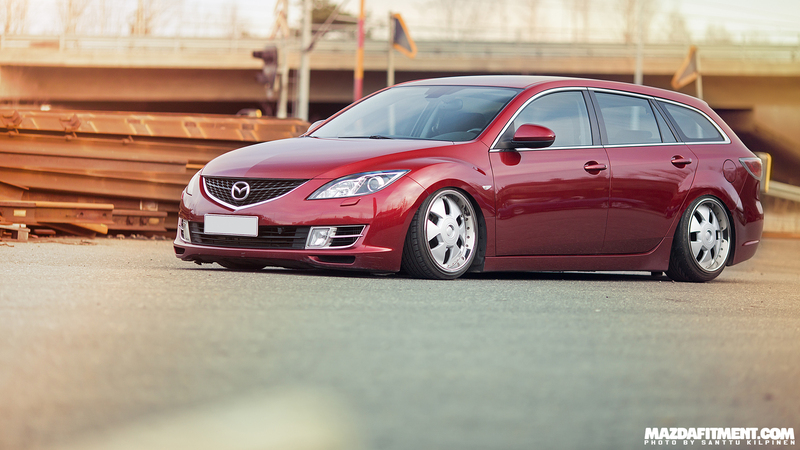 This is a 2008 Copper Red Mazda 6 STW, which is rare to see in this body style as it was offered a very limited amount throughout the world. Wheels spec’d to 18×8.5 and 18×10 with et 35 and 37. Suspension is set to BC Racing coilovers.